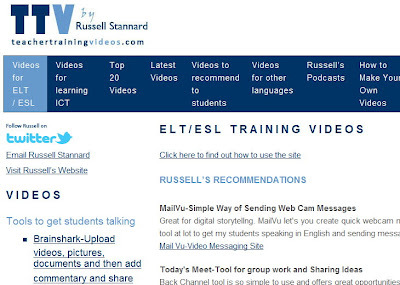 Teacher Training Videos is an award-winning website created by Russell Stannard. It offers free, how-to video guides to technology applications for teachers. From Twitter to Smartboards, Russell covers almost any application you’ve dreamed of using in class and some you’ve never heard of. The site also has a special section for ELT and gives some great suggestions for classroom activities.